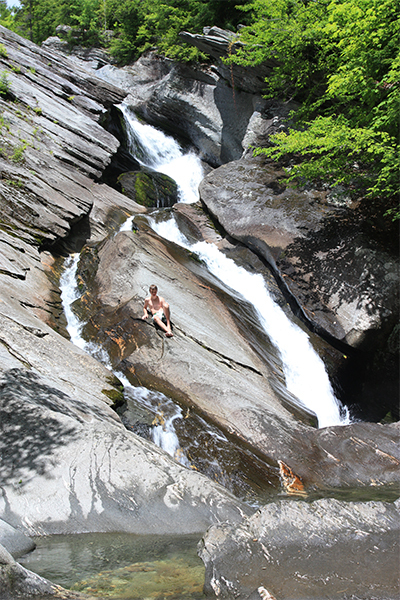 A short distance northeast of Jamaica State Park is the final mile of Cobb Brook, a water source renowned for one of Vermont's tallest waterfalls, 125-foot Hamilton Falls. 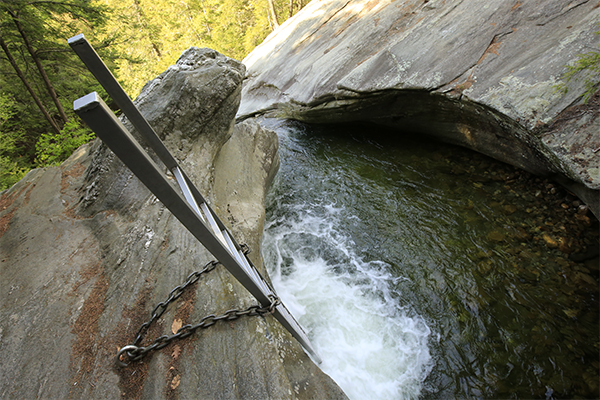 The waters of the brook literally slice their way sideways through deeply cut gorge walls before landing in popular wading pools at the base of the formation. 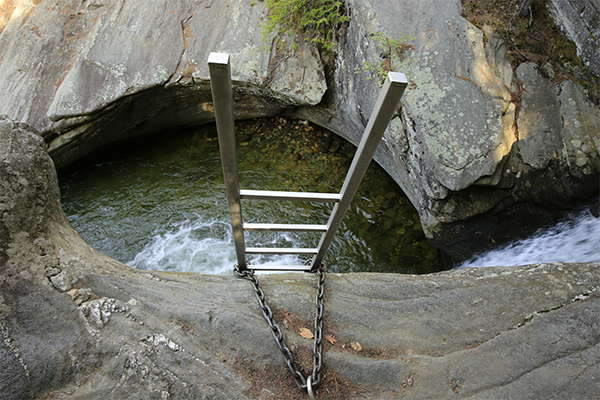 At the top of the falls is a deep pothole, rock ledges, and an emergency ladder in the event that someone slips and falls into the pothole. For your own safety, swimming is prohibited at the top of the falls, and for good reason. At least twelve visitors have lost their lives here over the years. 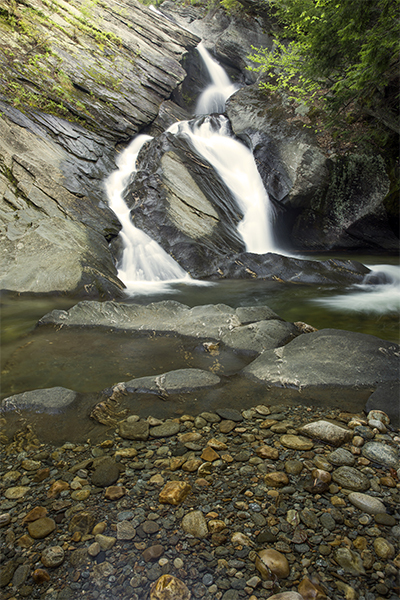 The base of Hamilton Falls is an amazing place to bring children. They will enjoy splashing in the shallow pools while adults watch from various sunny spots along the brook bank. 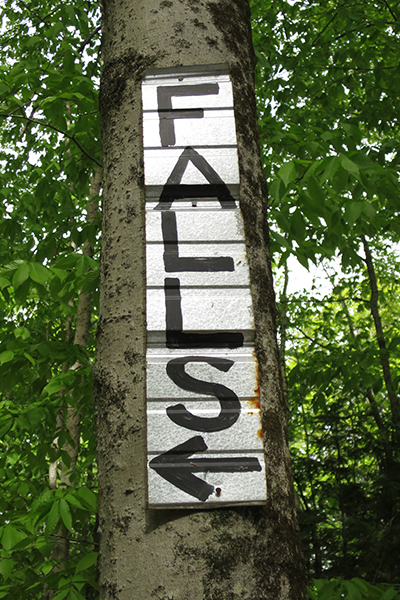 You will find that this waterfall is justifiably quite popular throughout the entire summer season. 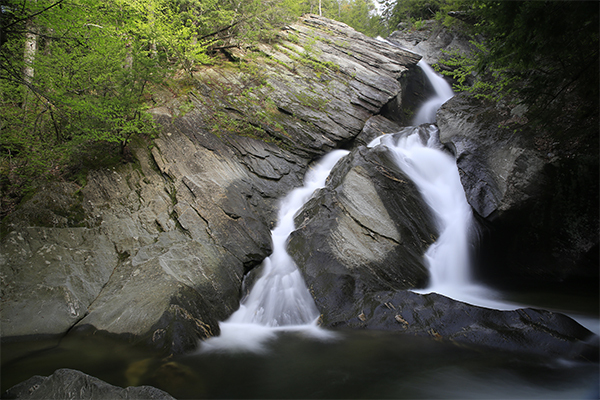 Nearby Jamaica State Park is one of the premier parks of the Vermont state park system, and it offers excellent hiking, camping, fishing, biking, and whitewater kayaking. For one weekend in both spring and fall, the nearby Ball Mountain Dam releases high levels of water into the West River, and kayakers and canoeists have been making annual pilgrimages for many years. The area inside Jamaica State Park also has some history of particular interest. In 1748, the last year of King George's War, the debate over the borders of New France and the British Colonies was still in full disagreement. On the night of May 31, 1748, two Frenchmen and nine Native Americans crept up the West River in what is now the town of Londonderry and attacked British troops, killing five and wounding another. This massacre occurred at Salmon Hole, a popular fishing spot, during that time period on the West River (it is now known more as a popular swimming hole within the state park).